Do you want to know more about investments and how they can affect your future? Come to this informational session and hear advice from a professional. 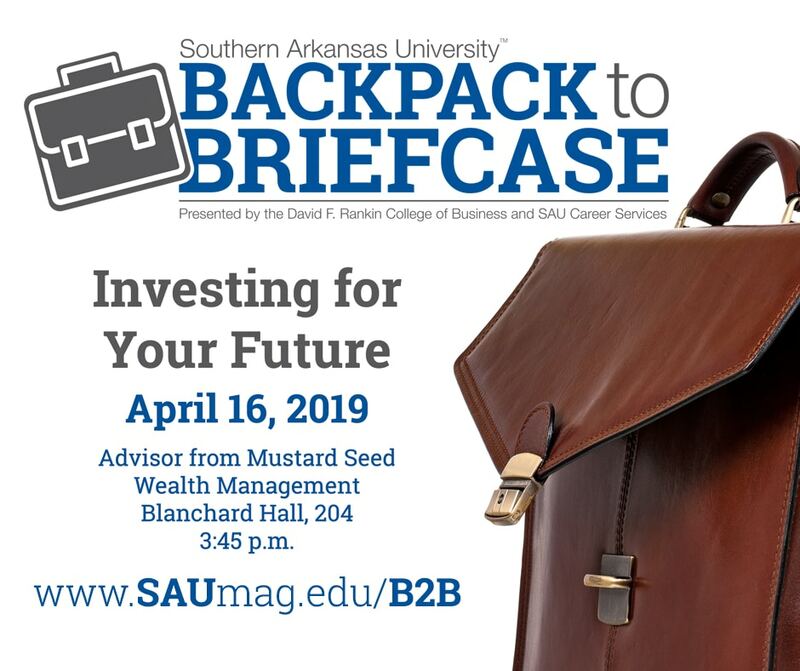 An advisor from Mustard Seed Wealth Management will be present to answer your questions. It is presented by the David F. Rankin College of Business and SAU Career Services and is open for anyone to attend. It will be held in Blanchard Hall 204. For more information, contact Career Services at 235-4097.